HCG, or human chorionic gonadotropin, is a completely natural substance extracted from the urine of pregnant women. It works by tricking the body into thinking it is pregnant in order to burn off fat and protect muscles for the developing fetus. 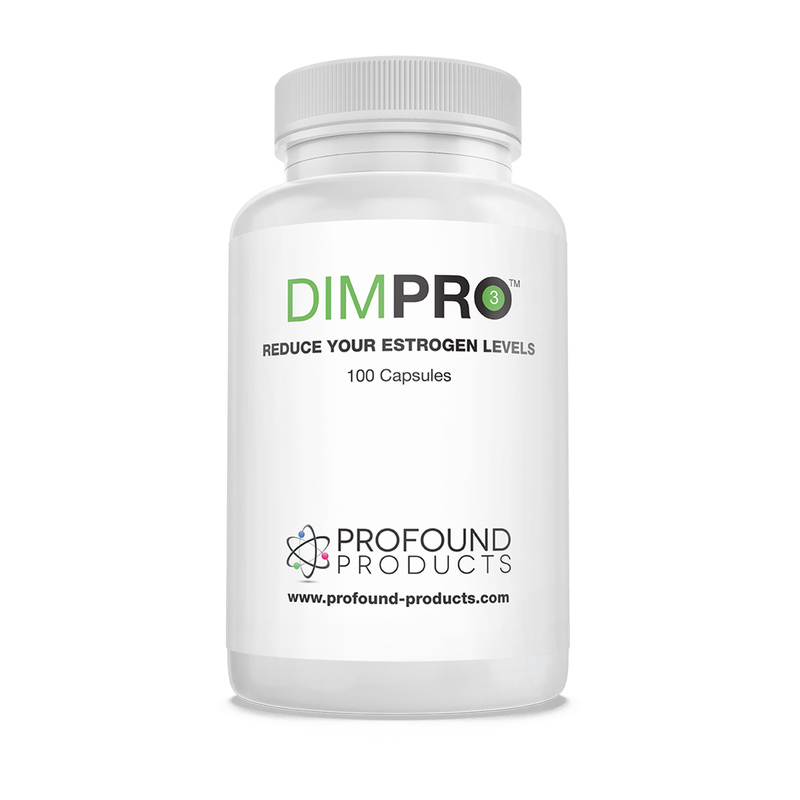 It is not a hormone; instead, it is classified as a polypeptide, and athletes typically use it to enhance performance by metabolizing fat, especially in the stomach, thighs, and upper arms. Lately, however, dieters have shown a preference for this natural polypeptide after many unfortunate experiences with bariatric surgery (‘stomach stapling’) or synthetic weight-loss drugs such as amphetamines, Phen-fen®, etc. Indeed, my little sister tried Phen-fen®, and to this day, she suffers from a heart murmur. Synthetic drugs are not the way to go in order to lose weight, even though our all-powerful FDA endorses them. Dieters swear by HCG, but if you question them closely, you will hear that one must use HCG correctly in order to lose weight. By ‘correctly,’ I mean you should be supervised by a knowledgeable physician who has extensive patient experience with it. Typically, 500 units per day are sufficient, up to a maximum of 1,000 units. My colleague, Dr. A., lives 180 miles from me, and he runs a booming weight loss clinic. HCG is the favorite of many of his patients, and he usually charges over 1,000 dollars for his complete HCG program. (This website offers the same HCG for far less money.) Recently, he gave me a detailed set of instructions for sublingual use of HCG tablets. The tablets cost quite a bit, but one could save money using injectable HCG solution (Pregnyl®). For the truly squeamish, I always recommend the sublingual tablets. However, both methods of administration require a 500 calorie daily diet, according to Dr. A’s instructions. The 500 calorie diet is necessary since most Americans have bodies loaded with high levels of fats and sugars, especially high fructose corn syrup. High fructose corn syrup is the mainstay of many American prepared foods, especially prevalent in beverages such as soft drinks, fruit drinks, vitamin-water drinks, and most of what is served at Starbucks. This awful syrup does not allow us to feel full since it does not affect the hunger hormone, leptin, or the satiety hormone, ghrelin. It surrounds our cells with sticky glue that prevents nutrients and oxygen from entering our cells. We gorge ourselves with such sugars for decades, and then we wonder why we have trouble losing weight. The answer is simple. We have chronically overloaded our bodies with this syrup as well as with glucose and triglycerides. When sugars are in excess, they are readily converted to triglycerides. And triglycerides are the reason the USA leads the world in protruding abdomens and heart attacks. Interestingly, there is a direct, one-to-one correlation between stomach (visceral) fat and fatty heart - all caused by extreme overload of triglycerides that, in turn, were created metabolically by the sugars we consume daily. Numerous recent clinical studies have linked sugars with elevated triglycerides and LDL (the bad cholesterol), and lowered HDL (the good cholesterol).¹,²,³ Sugars damage the heart, brain and other organs by damaging the mitochondria or energy factories of all cells⁴. Also, triglycerides and other fatty acids interact negatively with insulin receptors⁵. Fat becomes oxidized by free radicals resulting in lipids such as LDL, damaging blood vessels. This malignant process eventually leads to blocked arteries due to plaques and atherosclerosis. Thus, people with excessive body fat are walking ‘oxidant factories’ whose bodies must unsuccessfully fend off cascades of free radicals and their toxic by-products. I have studied and published on this problem since 1978, and I have presented by summarized findings in my book, Stay 40, (available from IAS). Secondly, I strongly recommend consuming my patented invention, ‘ACF 228™,’ available from IAS. ACF 228™ inactivates free radicals in humans as described in my patent. It is an all-inclusive remedy for aging and even protects against free radicals generated by nuclear accidents such as those recently in Japan. ACF 228™ contains efficient free-radical quenchers such as N-acetyl cysteine, and it protects against radioactive iodine by containing pure potassium iodide. ACF 228™ will work well with HCG without side effects such as blood clots, depression, sore breasts, and headaches. Thirdly, ACF 228™ contains anti-cross linking nutraceuticals such as L-carnosine that stop or reverse the unwanted reactions of circulating sugars with proteins. These unwanted reactions increase the stiffness of the arteries, the lenses of the eyes, and the body’s collagen fibers. These reactions can be measured by equipment such as Bio-Clip™ which is available in both a professional form known as Bio-Clip PLUS and now also as the world’s first at-home form known as Bio-Clip CUFF. Essentially, the road-kill diet contains inflammatory omega-6 fats that clog our arteries and cause our hearts to fail. After decades of use, the road-kill diet begins to cloud our minds, so much so, that eight percent of all 65-year olds in the USA develop Alzheimer’s. By age eighty, forty-five percent of Americans have Alzheimer’s⁵. If you doubt these statistics, try timing the white-haired drivers ahead of you at a stop light. Often, these seniors will have reaction times of two to five seconds when the stop light changes to green. This is not Alzheimer’s, but it is the unhealthy reaction of a slowed brain impaired by years of negligent diet⁷. This condition can be corrected. One merely needs to eat more sensibly as Americans did seventy years ago; in other words, eat a better balanced, smaller portioned, semi-raw protein and vegetable diet containing no grilled, processed, or deep fried foods. This is the diet of our grandparents, and it may be viewed on the TMC channel that screens movies from the thirties and forties. Americans were generally thin then, as Europeans and Japanese are today. Another method is to try to eat like Europeans and Asians do today. Both of these groups eat only two-thirds the meal portions that Americans eat, and their food is often healthier, more ascetically arranged, and lacking in sugary sweeteners. For example, the local sports bar in my neighborhood is frequented by both Asians and non-Asians. During major sports events, the non-Asians typically consume beer with road kill, namely junk burgers and trans-fat fries. This behavior is averse to consuming HCG. On the other hand, my Asian friends will congenially share a large plate of mixed sashimi (several types of raw fish) along with beer. Healthy habits culturally driven pay off in improved health and slim waist lines! On public radio, many Americans have complained to me that they do not like the taste of Asian food. I have discovered that half of all Asian food does not suit American palates. On the other hand, one-third of all Asian food is tasty to Americans. Believe me. One must have an adventurous spirit and dive into the world of authentic Asian cooking. You will end up ordering and rejecting many strange foods. Eventually, however, you will discover many delightful foods that will significantly cut your sugars, inflammatory omega-6s, and fat loads, and lower your all important triglycerides. This should also help to sharpen your insulin receptors. One should start by hydrating the body with hot or iced Asian green tea consumed many times daily. I especially recommend spicy Asian foods for those over fifty since one loses half of one’s taste buds between age thirty five and seventy. Spicy Asian foods allow us to acquire an appetite for real food again. Another method of enhancing the appetite for real food is to stand over a hot stove and allow the natural cooking aromas to permeate our nostrils, stomachs, and lungs. A side benefit of Asian food is that it usually does not cause inflammation in our bodies. This is especially true of Asian food from China and India that contain curry. The active ingredient in curry is turmeric, which is nature’s natural anti-inflammatory. Again, no drugs present here; just real cooking! As mentioned previously, dieters swear by HCG, but one is obliged to forego hot dogs, junk burgers, trans-fat French fries, etc. – the mainstays of the American road-kill diet. A first step is eliminating processed carbohydrates and fats such as all dairy, breakfast cereals, crackers, breads, pretzels, pancakes, waffles, and bagels. Alternatively to Asian foods, I have two suggestions. I strongly recommend substituting one meal daily with the ‘Living Fuel™’ meal supplement. If one has been diagnosed with metabolic syndrome or Type II diabetes, I recommend substituting two meals daily. Living Fuel™ tastes like strawberries since it contains authentic strawberries complete with strawberry seeds! Living Fuel allows one to feel satiated on 500 calories a day without hunger pains during the four to five hours between meals. Additional quelling of hunger pains can be achieved by consuming 150mg ‘Irvingia gabonensis’ twice daily. Lastly, I strongly recommend starting an exercise program supervised by a trainer or a physician. Exercise allows the body to burn excess sugars and fats accumulated during decades of abuse. I highly recommend joining ‘24-hour Fitness™’ and training three to four times weekly. Between training days, one should engage in any sport to one’s liking, especially swimming, biking, jogging, and tennis. These three remedies set the stage for HCG use and provide you with a new body and healthy prospects not available elsewhere. The most significant benefit of HCG is its ‘androgenic action.’ For example, according to doctors at elitefitness.com, male athletes injecting only three times weekly with HCG found a 400 percent increase in the androgenic hormone, testosterone. All athletes know that testosterone burns fat and tones muscles. Thus, this is the key to HCG’s function, namely ‘androgenic action.’ However, there is a catch here. Some athletes have noticed a much lower percentage of testosterone since it occasionally converts into the essential female hormone, estradiol. To avoid this dastardly conversion, I recommend that all my patients consume daily 100mg DIM (diindolylmethane) an hour before consuming HCG. Male patients especially need daily DIM to prevent enlarged breasts (gynecomastia) and prostate (benign prostatic hyperplasia). If you check the internet for other purveyors of HCG, you will not find this valued information, since one must be exceptionally knowledgeable in the field of endocrinology (the study of hormones). Lastly, please note that approximately eighty percent of women over forty years of age are somewhat deficient in thyroid hormones. Most doctors will not treat you for this condition since they are unaware of the advances in endocrinology occurring during recent years. Therefore, I strongly recommend that women especially should measure their early morning temperatures two weeks in a row. If temperatures are typically less than 97.5 degrees Fahrenheit, one probably would benefit from thyroid, and especially if temperatures are below 96.5. This is called ‘the Barnes Test’ and more information is available with a Google search. If one does fail the Barnes Test, and one typically has other significant thyroid deficiency signs and symptoms, such as cold hands and feet, I strongly advise correcting with desiccated thyroid available from IAS. Typical brands are Armour® thyroid, Nature-West-thyroid®, ERFA®, Thyroid T3-Titre®, and Thyroid T4-Eutriox®. Given the above signs and symptoms, I recommend consuming between 60 and 120mg per day. One begins gently with only 15mg. After ten days, one increases the dose to 30mg daily. Stepwise, one should increase the dose to between 60 and 120mg when cold hands and feet begin to feel warm. Desiccated thyroid correction is essential to HCG use since thyroid drives the metabolism in the body, and at a very basic level, thyroid helps us to burn sugars and fats efficiently. HCG will burn unwanted fat in the stomach, thighs, and upper belly if thyroid is sufficient and one maintains a better diet combined with exercise. (1) Welsh JA, et al., 2011, Consumption of Added Sugars and Indicators of Cardiovascular Disease Risk Among US Adolescents, Circulation, 25; 123(3): 249-57. (2) Welsh JA, et al., 2010, Calorie Sweetener Consumption and Dyslipidemia Among US Adults, JAMA, 21; 303(15): 1490-7. (3) Liu S, et al., 2000, A Prospective Study of Dietary Glycemic Load, Carbohydrate Intake, and Risk of Coronary Heart Disease in US Women, Am J. Colin Nutr., 71: 1455-1461. (4) Kuhlow D, et al., 2010, Opposing Effects of Dietary Sugar and Saturated Fat on Cardiovascular Risk Factors and Glucose Metabolism in Mitochondrially Impaired Mice, Eur J Nutr., 49(7): 417-27. (5) Witmer RA, 2007, The Epidemiology of Adiposity and Dementia, 4(2): 117-22. (6) Private communication from Russell Laudon, MD. (7) Lippman, R., 2009, Stay 40, Outskirts Press Inc., Denver (CO).